After watching the first episode of ABC's "How to Get Away With Murder," it seems pretty clear to me that the network has another hit on its hands. Viola Davis' portrayal of criminal defense lawyer and legal professor Annalise Keating was nothing short of riveting. And as she's hit the promo trail for the suspense-filled drama, she's been questioned about ill-advised remarks from a New York Times columnist. In a review of the show, Alessanda Stanley called Davis "less classically beautiful" than other leading ladies. 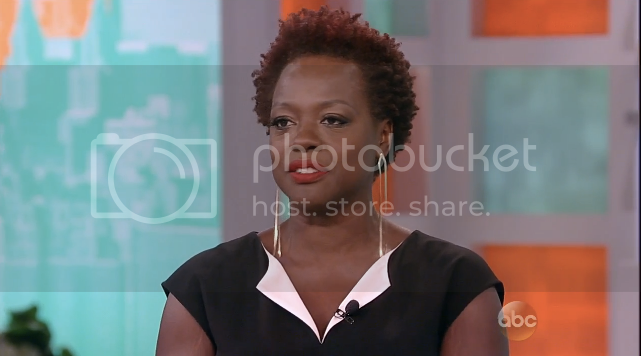 Davis addressed the jab as well as her reason for taking on this role on The View. "I'm glad that Shonda Rhimes saw me and said "Why not?" That's what makes her a visionary. That's what makes her iconic. I think that beauty is subjective. I've heard that statement (less classically beautiful) my entire life. Being a dark-skinned Black woman, you heard it from the womb. And "classically not beautiful" is a fancy term for saying ugly. And denouncing you. And erasing you. Now...it worked when I was younger. It no longer works for me now. It's about teaching a culture how to treat you. Because at the end of the day, you define you."